Business Analytics, Financial Decision Modeling, Management Information System, E-Commerce, Data Science, Health Informatics. Prof. Aparna Shenoy obtained her B.E. in Electronics and Communication from Canara Engineering College and M.Tech. in Digital Electronics and Advanced Communication from Manipal Institute of Technology Currently she is pursuing a Ph.D. in Computer Science in CMR University. 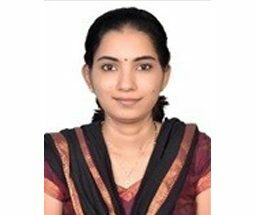 Prof. Aparna Shenoy started her career as an assistant professor at Sri Venkateshwara College of Engineering, Bangalore and later joined CMR University in the year 2014. Her core competence is in communication and networking but she has also experience in a wide range of computer science projects related to medical and Defence Systems. She has carried out research work at Centre for Artificial Intelligence & Robotics, DRDO. She has delivered courses such as Computer communication Networks, Wireless communication and power electronics for 8th, 7th and 5th semester engineering students. In the field of management, she has taught Business Analytics, Management Information systems, IT for commerce and business management to MBA, M.Com. students. She is a certified trainer for IBM Analytics. She has also completed a certification course in Advanced Business Analytics with R.